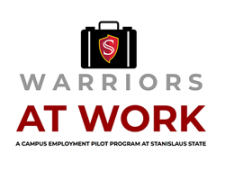 Through a collaborative effort between Human Resources, Academic Affairs and Student Affairs, Stanislaus State has launched the inaugural cohort of our Warriors at Work program, a student success pilot program focused on student employees on campus. 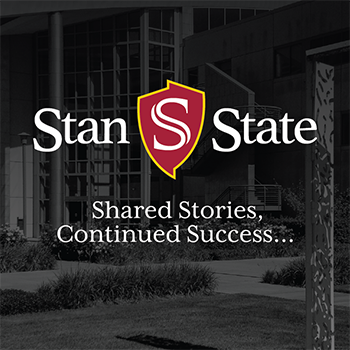 The year-long program, from August through May, consists of monthly one-hour learning experiences led by Stan State faculty, staff and administration. Program participants will become part of a cohort of other student employees across campus and will have an opportunity to interface with peers on a regular basis to learn together and share experiences. We cover topics such as professional ethics, public speaking, preparing for graduate school and more. Students who participate in the Warriors at Work program will receive special recognition at key employee events like the Holiday Social, the Staff Council Picnic, and will be treated to lunch by President Junn at the conclusion of the academic year.